The license can be activated using a license key. Internet connection isn't necessary for this choice. Following pictures illustrates the process of new license activation. 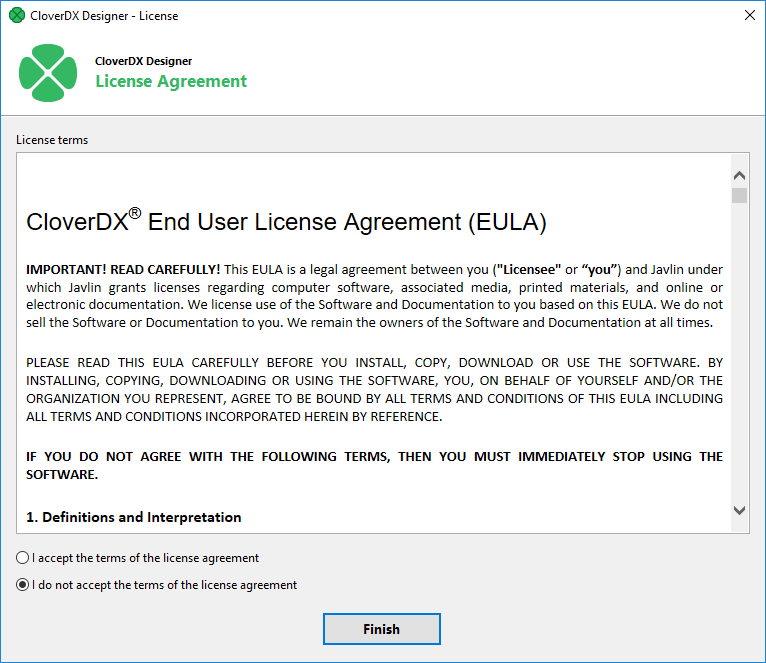 Copy and paste the license text, or specify the path to the license file with Load from File button. Confirm you accept the license agreement and click Finish button. 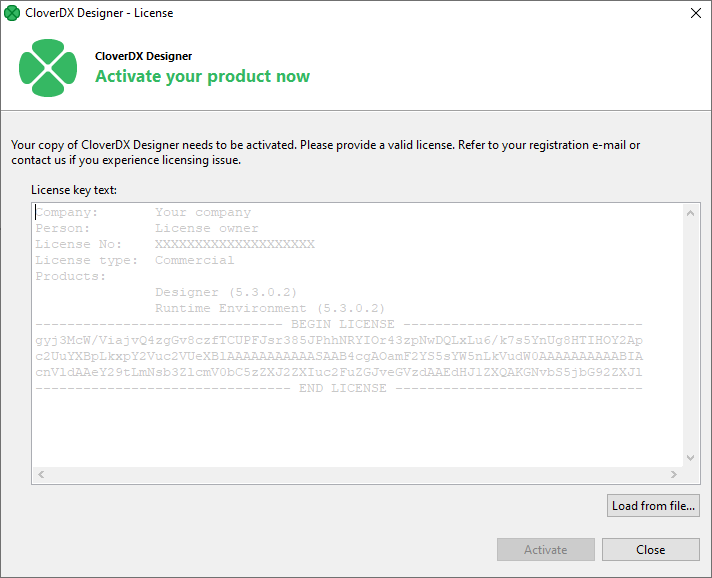 The license has been applied, the CloverDX Designer has been activated. Already activated license can be deleted with the help of License Manager.